Gay rights activist Masha Gessen on how homophobic laws are making life impossible in Russia. Plus, Mo Abadu, Nigeria's answer to Oprah Winfrey and photographer Kai Wiedenhoefer. 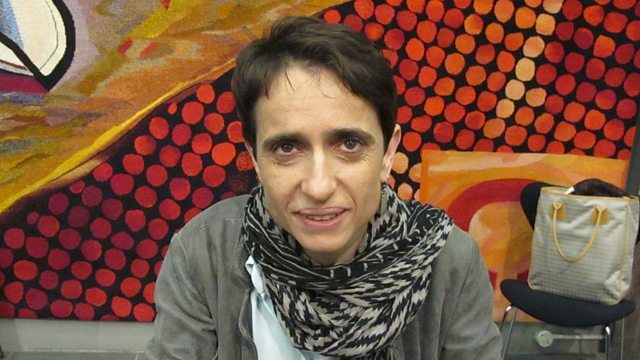 Masha Gessen is a prominent Russian journalist who is openly gay. She explains how new homophobic laws could give authorities the right to take away her children, making life in Russia impossible for her family. Also, Nigerian chat show host, Mo Abudu, reveals why she got into television. And, Shanon Lee shares early memories of her father Bruce Lee, marking the 40th anniversary of his death. Plus, German photographer Kai Wiedenhöfer on the walls that divide us - his photos are displayed on the remains of the Berlin wall.